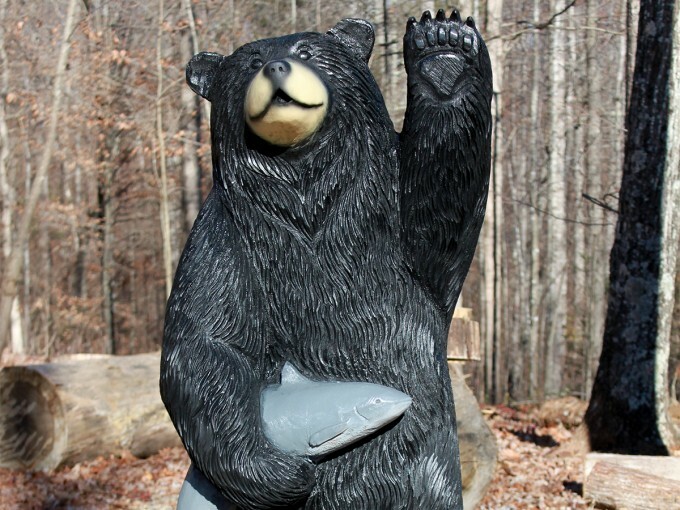 This 5' tall waving black bear holding a catfish was a custom commission from a client in Forest, Virginia. 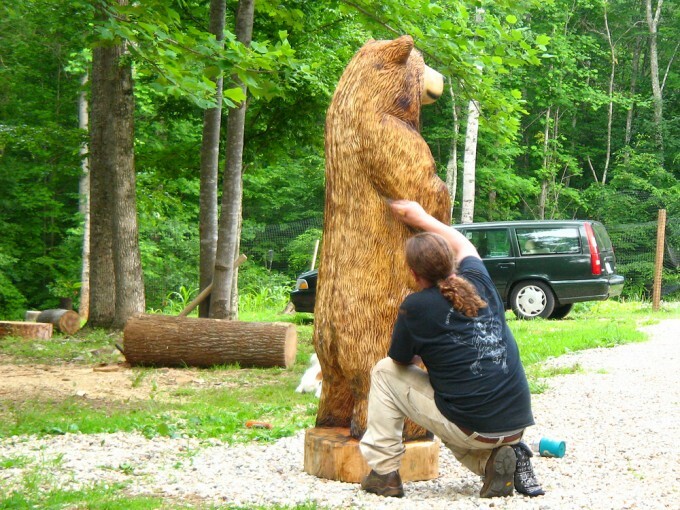 They wanted a friendly bear to place in their circular driveway. Behind their home there is a catfish pond. 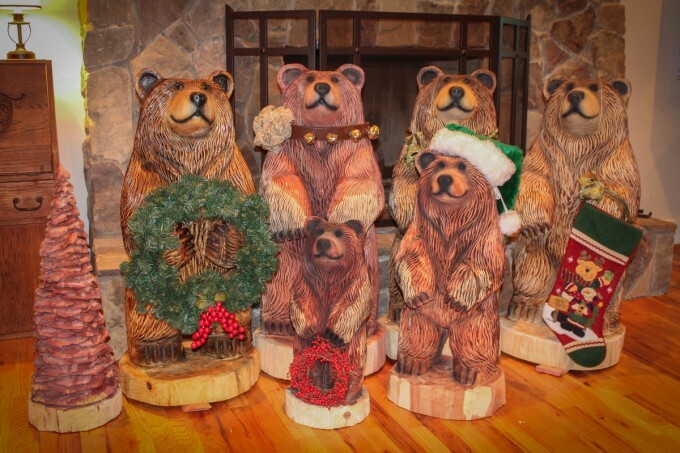 Mark's Poppyseed, Dually and Rusty chainsaw carved wood bears are coming out of hibernation for Christmas! With orders arriving from all over the country, here is the first clan ready to take the polar express to their new owners. 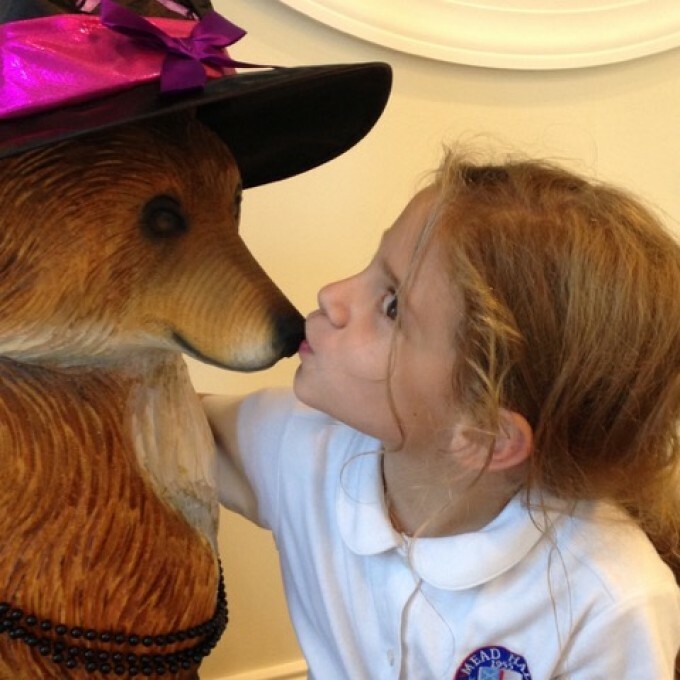 We always knew there was something special about these bears' sweet expression. They're like Teddy Bears! 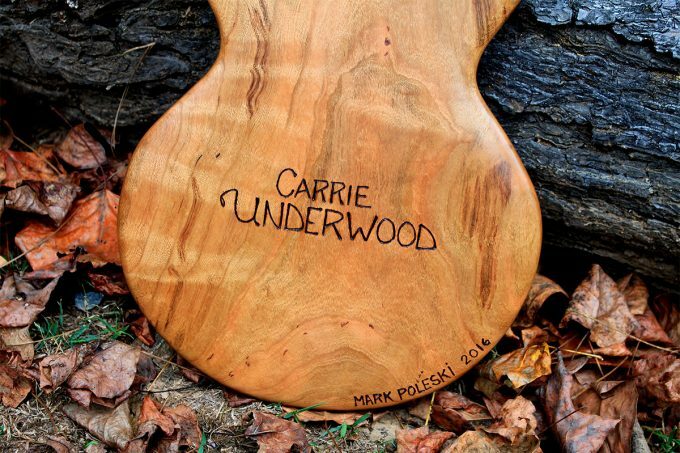 Mark waited until he found the perfect piece of wood for this trout which was a gift for a friend. 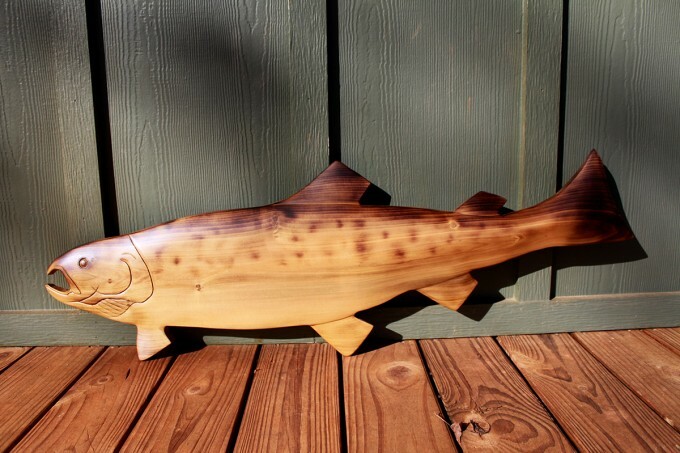 The trout has a flat back with a hanging wire. Our friend has it hanging above a large wall of windows in the great room. 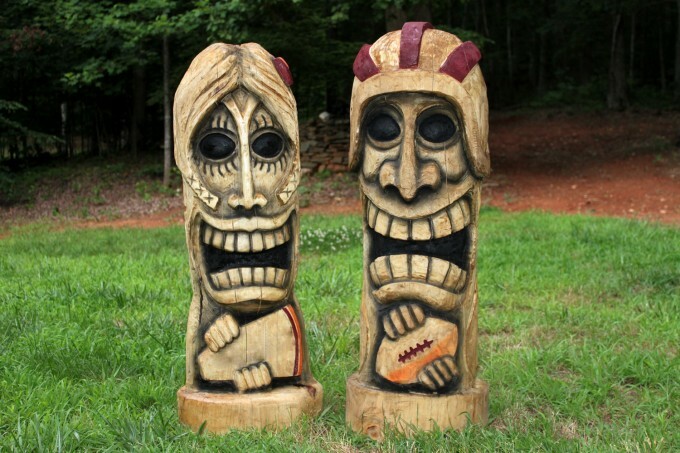 Besides a few crazy tikis around here carved for the hell of it, there haven't been many others, that it, until this football player and cheerleader tiki couple. 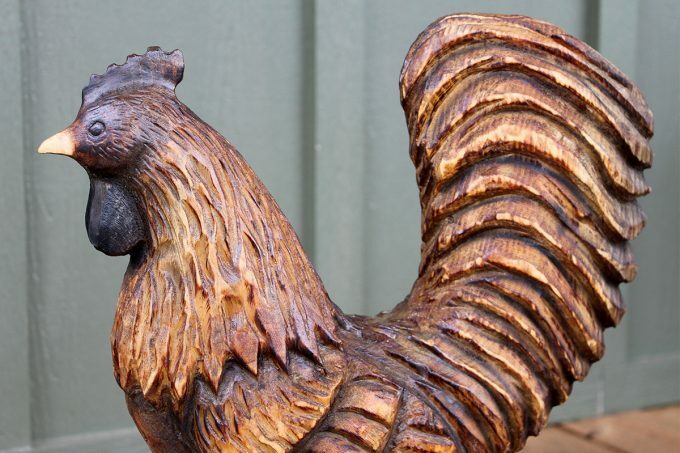 Mark carved this wild, sporty, spirited pair for a friend's pool/patio/party area. 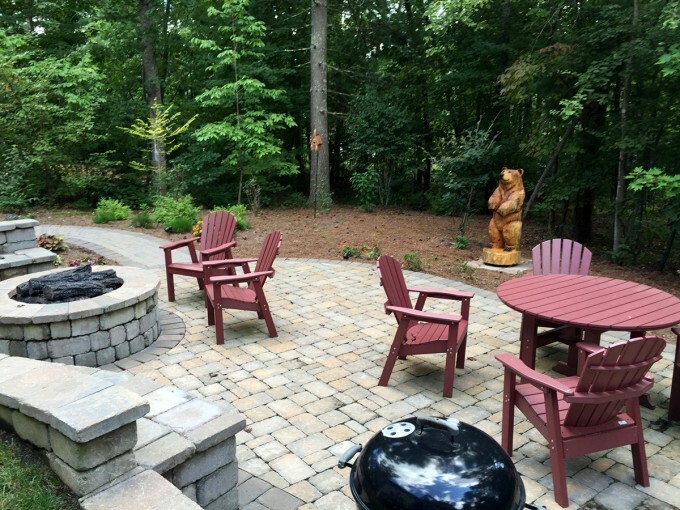 Since the fiend is also a Virginia Tech football fan, Mark added maroon and orange paint accents. The blank space on the cheerleader's megaphone works perfectly for a custom message or image.